When you purchase a used car at Scarboro Kia, we promise hassle-free service for the life of your vehicle. The exceptionally skilled technicians in our Parts and Service Department provide extraordinary service in a prompt manner. Moreover, we are committed to maintaining superior customer service, notably for our pre-owned car buyers. For example, the Parts and Service Department record the service history, add new service records, print detailed reports, and schedule future recommended maintenance. In fact, our technicians are so committed to excellence that they will alert you if a recall affects your car. 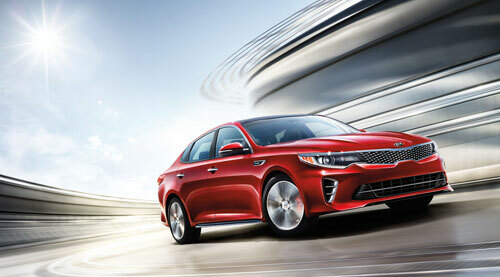 Equally important, the Parts and Service Department is familiar with servicing all Kia models. Naturally we all want to save time, money and avoid frustration. Without a doubt, enjoying the benefits of serving your car at Scarboro Kia is the easiest way to do just that! We can assure our customers from Ajax and the surrounding areas that the short drive to our dealearship for regular maintenance will help your vehicle run well for years and also maintian a high residual value.